The NHL is finally back in action! And to mark such a long awaited and special occasion, bettors will be treated to a classic match up: the Leafs and the Habs. Both teams are looking to make a huge impact this season, in totally different ways. 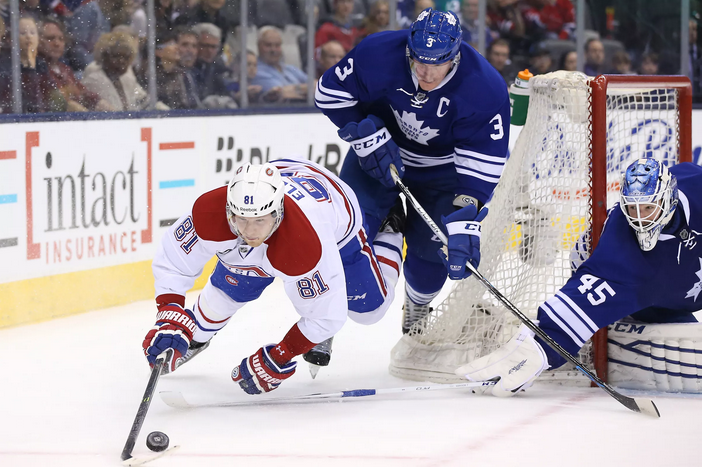 The Montreal Canadians want to return to the finals where as the Toronto Maple Leafs just want to become competitive again. The Leafs have made a lot of changes and smart additions and minuses this past off season. They will try to get good value and performance out of Shawn Matthias, Brad Boyes, P.A. Parenteau, and Michael Grabner this season, all of whom were acquired for what experts believe is next to nothing. That’s good as it means little risk and precious cap space is saved. Matt Hunwick and Martin Marincin on defence also embody the same buy-low concept as their presence has helped to get rid the Leafs of the contractual anchors that held down previous lineups. In the very least, all these new players are candidates to play on a Toronto team that might end of being a bottom feeder again. It could be a thinly-veiled ploy to control all the draft picks in 2016, but if you look at Mike Babcock as coach, he will not allow a decent team with a good base of talent, not to work. If you look at the abysmal Leafs of 2014-15, they still managed to keep themselves in the middle-third of the NHL when it came to allowing shot attempts. With Babcock at the helm, a coach who is one of the stingiest when it comes to defence in the last five years in a row, opponents cannot expect the Buds to give up good scoring chances and easy shots. Out of all of these carefully calculated maneuvers on defence, Toronto’s most stressful problem this year will be: Who’s going to score? With their top scorer, Phil Kessel traded away they will have to make up for his 30+ goals. Montreal on the other hand has an opposite problem, since the 2014-15 season ended, a very common but important question keeps coming up for the Habs’ affairs. How is it that a team with this much talent, can be overcome by a fatal flaw? The team that will play tonight is probably not Marc Bergevin’s exact solution, Montreal’s opening-night roster will contain a lot of clues about the Habs’ perception of last year’s problems and how they want to go about resolving it. Hab’s management already has upgraded on skill, by adding forwards Alexander Semin and Tomas Fleischmann. That fact along with an expanded role for centre Alex Galchenyuk, and the Canadiens will now have two solid top lines that can face up with anyone. Their third line is nothing to baulk at, as it’s capable of producing in its own right. Their main strength comes in their top nine which should allow Therrien the luxury to be very picky about how he deploys a fourth line which does not have to lend itself to any particular area of specialty. That’s a lot of flexibility. Until he can sort out how he wants to arrange it, he will almost certainly to keep that trio out of danger and away from high-octane offensive talent. If that’s what the game plan is looking like for the Canadiens’, their first opponent of 2015-16 might end up obliging. 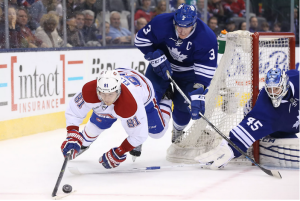 As they drop the puck on a new season, tonight will be a game to lose for the Habs as they surely should have a win over the refurbished Maple Leafs in the bag. The teams split the pre-season with a win each, but when it matters most the Habs will probably outscore the Leafs after a long tough drawn out fight.